As you continue your study of organ playing you're likely at some point to come across a time management method called the Pomodoro Technique. This was developed by Francesco Cirillo in the late 1980's and uses a timer to break down work into small intervals traditionally 25 minutes in length, separated by short 5 minutes breaks. These intervals are called "pomodoros" in Italian, after the tomato shaped timer (photo) that Cirillo used when he was in college. For the purposes of the technique, a "pomodoro" is the interval of time spent working. 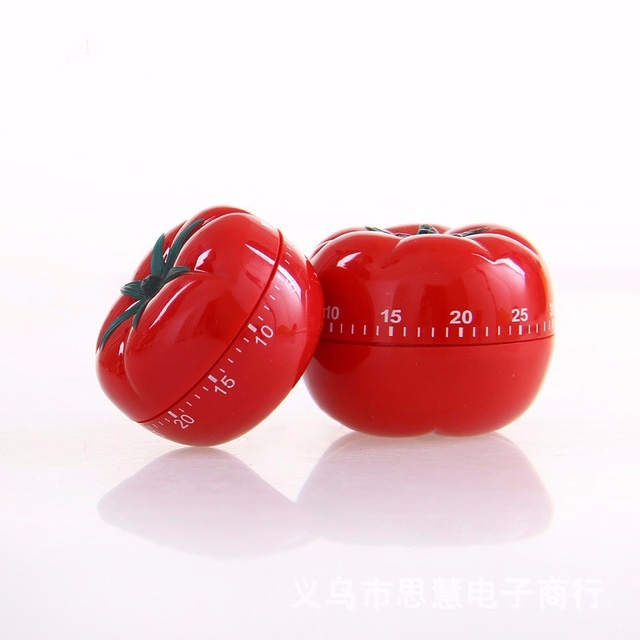 The way this works is that you first decide on the task to be done, set the pomorodo timer to 25 minutes, work on the task until the timer rings (which represents one "pomodoro"), then take a short break of 5 minutes; after 4 of these pomodoros (which form a "set") you then take a 20 minute break. Four pomodoros form a set; a longer 30 minute rest is taken between sets. The goal of this technique is to reduce the impact of interruptions on focus and flow because a pomodoro is indivisible. When interrupted during a pomodoro, the interruption, if it's an activity, must be recorded and postponed or, more likely, if the interruption isn't an activity, the pomodoro must be postponed. The idea of working smarter, faster, and better using a technique like this is all well and good, but organ playing cannot be mastered in one 25 minute pomodoro, nor with many sets of them. It's a lifetime study; and that's the exciting part of it, that we're constantly learning and growing and reaching out to share our discoveries with others to where this art has an impact on them, for the good. The challenge facing us, for the time being, is to carve out for ourselves whatever private time every day may be available to devote to this study and, whenever possible, to engage in some practice at the keys. If you can use something like the Pomodoro technique and it works for you, you're very fortunate indeed. For the rest of us, what we have to do is take what time there is to be taken, be grateful for the privilege, and go from there. That's better than having no time at all for it, and there are plenty of those folks around. Interruptions can last for only a few minutes, a few hours, an entire day, a whole week, or (in the case of a catastrophic health problem, for example) can occupy months at a time. Having enduring all of these types of interruptions I can tell you that it's better to just take what can be taken in terms of time than to burden your mind down with a spec (specification) on how many minutes a day you should be spending on different aspects of playing [See blog, Interruptions, Part I-II]. When you're pulled away like this, maybe to have to attend to your family's needs or simply to pay the bills, for example, remember that there's sainthood involved with this kind of care and attention and love, so be patient with yourself, and don't be hard on yourself. Give yourself room to grow at your own pace. Everyone's timetable is their own. It's important to keep in mind that in this lifetime your wish list will always be larger than the clock gives you time for it, and you've only got all the rest of eternity ahead of you to devote to it. When we contemplate practicing, how many times have we said to ourselves, "I hate that I just don't have enough TIME for it." Think about that word "time" for a moment ... not musically in terms of tempo, meter (rhythm), or the metrical duration of a note or rest ... not even as a continuum in which events occur in apparently irreversible succession from the past through the present to the future ... but as a dimension ... the 4th dimension, to be exact. There are no Pomodoro timers in the next world where human beings are going ... a place where time as a dimension probably doesn't exist at all or, if it does, is no longer relevant, a place where there's no aging process. This is not the place to present a discussion about Superstring Theory or Einstein's universe except to simply comment that scientists understand time mathematically as a dimension, just like the first 3 familiar spatial dimensions of length, width, and depth. They understand dimensions as simply the different facets of what we perceive to be reality, and that beyond the 3 visible dimensions of space there may be many more. In the simplest explanation, light is heavy and gravity bends its path; space is what light moves in; time is how long it takes to move; and all physical processes in the universe in which we find ourselves are governed by the speed of light. And if somehow you could move at 10 per cent of the speed of light, time for you would slow down and your mass would increase; at the speed of light, time would stand still for you and your mass would become infinite, but since no real object can possess an infinitely large mass it's impossible for you or any other real object to travel quite that fast ... close to it perhaps, but not quite at that speed. Depending on which model of Superstring Theory you use, science posits that our universe exists in 10 of these different dimensions, and that these 10 govern all the fundamental forces of nature and all the elementary particles contained within. Astronomical measurements, scientific studies of radioactivity in rocks, and the discoveries of historical geology all strongly indicate that our Earth and the star Sol (the sun) which holds it in orbit along with all the other planets is only about 4.55 billion years old, and that the physical universe they can see with their telescopes is over 3 times older than that. At some point believed to be around 13.7 billion years ago, it's believed that 6 of these 10 dimensions collapsed into invisibility, leaving us with the familiar 3 dimensions of space, the 4th dimension of time, and the Big Bang (which was neither big nor a bang), at which time the universe was inflated and all the elementary particles of matter are believed to have had their origin. Scientists believe that time, the 4th dimension, governs the properties of all known matter at any given point, and that knowing an object's position in time is essential to plotting its position in the universe. The other 6 dimensions (5 through 10) which we cannot perceive and are necessary for there to be consistency in nature are where the deeper possibilities come into play, and explaining their interaction with the others is where things get particularly tricky for physicists. Beyond this, nothing can be imagined by us lowly mortals, which makes it the natural limitation of what we can conceive in terms of dimensions. We only perceive 4 dimensions of space/time because the extra 6 dimensions are either compactified on a very small scale or else our world may live on a 3-dimensional submanifold corresponding to a brane (a.k.a. Brane Theory) on which all known particles would be restricted. All of this, of course, is merely an attempt to reconcile the standard model of particle physics with the existence of gravity, to explain how all known forces in our universe interact, and how other possible universes themselves might work. Revelation, the other distinct realm of knowledge compatible with science, reveals that this lifetime isn't all there is, that there's a spirit in human beings which moves on to a different set of dimensions after it leaves this world, dimensions which are indeed invisible to mortal eyes. All of this is mysterious, of course, leaving us with a host of unanswered questions, but it helps to explain why a world of invisible dimensions which isn't subject to the clock can and probably does exist side by side with a world of visible, physical matter and dimensions ... the world we are experiencing now. Bottom line: As a performer at the organ, ultimately, your agility at the bench with your fingers and feet, no matter how hard you work at it, will not survive the 4 dimensions of space/time or the grave; but your talent and gifts and character, what you've done to develop them, and what you've learned while you're here, i.e., your mind and memory and musical "ear" and character, will. You'll take that with you into the next world, a world of different dimensions which aren't subject to the limitations of physical matter, space, time, the process of aging, or the interruptions of this life, where there's no "ciphers" (the problem of a pipe continuing to sound when the key controlling it is released), "dead notes" (keys that don't play), or need for "releathering" (replacement of perishable leather on pouch pneumatics and windchests), where there are no physical mechanisms subject to the ravages of time (decay, corrosion, wear and tear, breakdown, or malfunction) of any kind, where there are no concerns about the clock ... because there, the 4th dimension of time as Relativity explains it may not carry over at all, or, if it does, it would be irrelevant because on the other side of the Great Beyond nothing ages or deteriorates with time or requires maintenance. Astounding, but true, just as sure as I'm sitting here writing these lines [See menu bar, Bio, A Case Study]. Which is why, for now and for always, it's important to enjoy what "time" (for lack of a better word) we may have for practicing the organ in this life, keeping our eyes on the finish line and beyond.